These creative and beautifully presented seafood dishes, served in a sleek and contemporary seafront setting, are worth the trip to Repulse Bay for. As its name suggests, The Ocean takes inspiration from its surroundings and focuses heavily on seafood. Large glass windows allow for superior views over the water, while the interior is sleek and minimalistic with hues of turquoise, blue and white. Chef Oliver Bellin injects Breton-style cooking into The Ocean, creating innovative dishes that retain a classic elegance. While you may order a la carte, the degustation menu offers great value for money with five- and eight-course options available. Highlights include the pan-seared coral Brittany langoustine, which is a stunning display of fresh seafood and is served with a beetroot and buckwheat tartare. 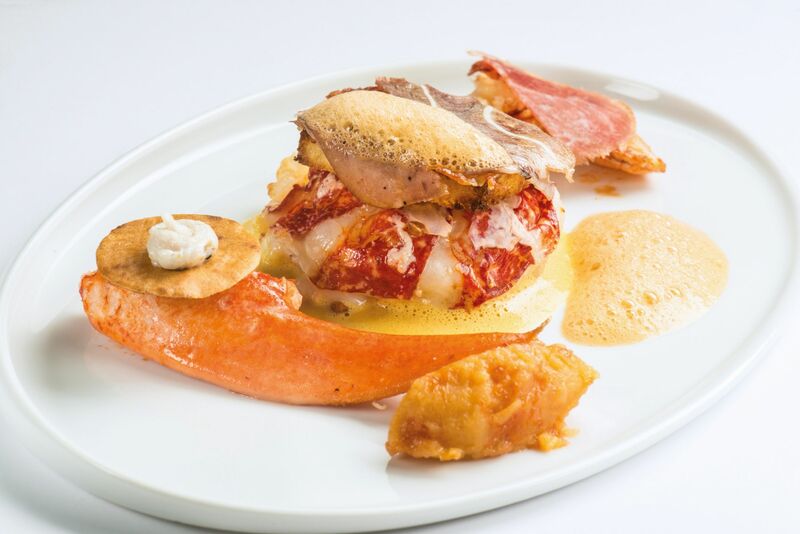 The lightly-cooking blue lobster with brioche and pork head veil delights the palate with the addition of a tart apple and grapefruit condiment. A well-curated tome of wines are available with a particular focus on whites, although the red wine options are also notable. Staff are knowledgeable and attentive, bringing a high level of service from beginning to end.